January 12, 2016, 12:16 PM · In an effort to promote the coverage of live violin performance, Violinist.com each week presents links to reviews of notable concerts and recitals around the world. Eugene Drucker performed the Bach with Berkshire Bach. Daily Hampshire Gazette: "There followed a vigorous performance of Bach’s violin concerto in A minor with Eugene Drucker as the soloist. Drucker is the first violin of the Emerson Quartet, whose fine playing could be heard at the South Mountain concerts near Pittsfield in the last two seasons. The work is remarkable for its Andante, in which the lower strings play a repeated bass theme over which the soloist plays an elaborate aria." Joshua Bell performed Brahms's Double Concerto for violin and cello with Steven Isserlis and Academy of St Martin in the Fields. The Guardian: (Bridgewater Hall, Manchester on Friday): "It’s a brave decision to play Brahms – especially late Brahms – without a conductor, though the musical conversation followed its own logic with a clarity that probably brought the piece closer to the form of baroque concerto grosso on which Brahms modeled his last orchestral work." Herald-Scotland (Usher Hall, Edinburgh, on Sunday): "...a staggering concert with violinist/director Joshua Bell in complete command of his superlative Academy of St Martin in the Fields...with the ASMF in glorious accompaniment, Bell and Isserlis delivered a magnetic account of Brahms’ Double Concerto, in fact the only one I’ve heard that has convinced me about the integrity of the piece. How? Yes, it was symphonic, but it was anti-rhetorical; it was conversational and intimate, even in the final dance. That’s all it took." Baiba Skride performed the Nielsen with the Naples Philharmonic. Naples Daily News: "Skride played sparkling trills and solid double stops, and the work between orchestra and soloist seemed so tight the usually reserved Naples audience broke tradition and applauded. But during the second of its two double movements, the orchestra sound seemed to lose steam, and didn't match Skride's crispness in the allegro-scherzando." Gil Shaham performed the Tchaikovsky with the New World Symphony. 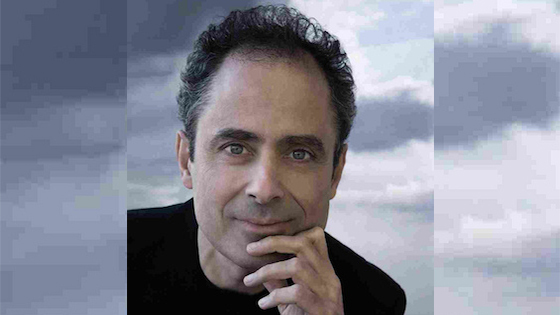 South Florida Classical Review: "Shaham always managee to infuse the most oft-played works with new life and his reading of the Tchaikovsky was no exception. With exceptionally strong teamwork with guest conductor Cristian Macelaru the result was a freshly conceived and exciting performance." Kamila Bidlowska performed Wieniawski's Violin Concerto No. 2 with the Worthing Symphony Orchestra (after breaking an E string!). Chichester Observer: "Hers was a special triumph. All stress, practical and musical, seemed to be taken in her stride with a chuckle, a grin and a shrug. She’ll be one of the WSO’s favourite memories." Christian Tetzlaffperformed works by Ravel and Kodály in recital with his sister, cellist Tanja Tetzlaff. The Guardian: "Christian seems the more expressively unbuttoned player of the two, attacking the more rebarbative passages in Ravel’s Sonata – its second-movement scherzo, often used as a textbook example of bitonality – with relish, and luxuriating in the rhapsodically nostalgic violin recitatives that introduce the finale of Kodály’s Duo. Tanja is the steadier, more measured player, though she did make the most of the grand melodic statements that Kodály regularly gives the cello too. Cho-Liang Lin performed Mozart's Violin Concerto No. 4 with the Pacific Symphony. The Orange County Register: "Lin is an old hand at this music, and he led and played a taut account, his tone penetratingly clear, but his intonation was not always as centered as it should be."